Fans of Beachwood Sparks, Brendan Benson, and Elliott Smith might well love this CD. It is impeccably crafted, richly orchestrated, deeply American roots rock, so much so that it's hard to believe they're British. Yet it's too slick; there are no rough edges or surprises. "It Is What It Is" is a strong opener, all shimmering, layered guitars and an upbeat bass line. The drums are snappy and propulsive, providing a foil for the mellow vocals and thoughtful lyrics about "sunlight on the wall." An aggressive, psychedelic guitar part in the middle provides further dynamics. The first few songs work along similar lines and have a force of motion the other tunes lack. As for the rest, it's mainly laid back, sophisticated easy listening music that demands very little of the listener. It's pleasant enough. 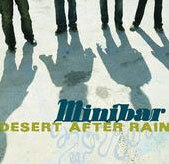 Minibar's lyrics are a strong point, painting clear images and dropping American place names such as New Mexico, west Texas, and South Dakota. Poetry abounds, such as the "rusty old car/abandoned by the side of the road" and "shadows on the rocks/a field of crucifixion trees." It's easy to get lost in Minibar's rocking chair rhythms and dreamy melodies, with wearily drawled vocals reminiscent of early Peter Gabriel. Harmonium, accordion, tack piano and pedal steel flesh out their sound. When the instrumental passages rise and swell my interest is almost captured but invariably, the song sinks back into some flaccid, predictable zone. Still, this may become your soundtrack for the summer, an aural break from the hubbub of city life.